alaTest har samlet og analysert 7 anmeldelser av UMI Max. Gjennomsnittlig rangering for dette produktet er 4.0/5, sammenlignet mot en gjennomsnittlig rangering på 4.3/5 for andre Mobiltelefoner. Vi analyserte bruker- og ekspert rangeringer, produktalder og flere faktorer. Sammenligned med andre Mobiltelefoner blir UMI Max tildelt en total alaScore™ på 88/100 = Meget bra kvalitet. USB Type-C for entry-level price. 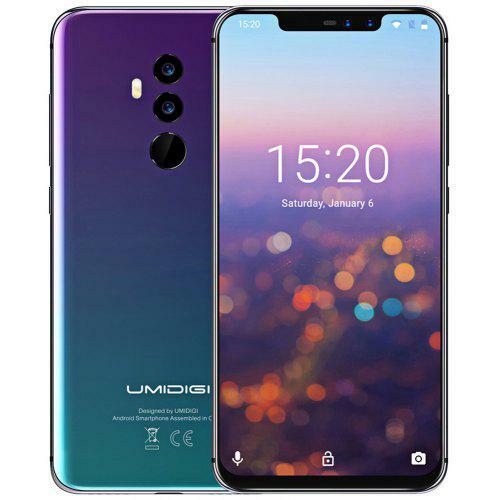 For a street price of 150 Euros (~$160), the Chinese manufacturer UMi is offering an interesting package: powerful hardware, a 4,000 mAh battery and the modern Type-C USB port are included in the Max model. UMi Max looks like most of the smartphones coming out of China and offers similar features as those in its price range, but it might just be better and worth considering as a budget device. USB Type-C a prezzo entry-level. Per uno street price di 150 Euro (~$160), il produttore cinese UMi offre un pacchetto molto interessante: hardware potente, batteria da 4,000 mAh e porta USB Type-C inclusi nel modello Max. USB Type-C a un precio básico. Por un PVP de 150 Euros, los chinos de UMi ofrecen un paquete interesante: hardware potente, batería de 4,000 mAh, y un moderno puerto USB Type-C.
A UMi é uma das fabricantes chinesas que tem ficado conhecida nos últimos tempos. O UMi Super foi o equipamento que trouxe o nome da fabricante para o ocidente, mas o Max também não fica nada atrás.